Description: component is defined as a <combinator> selector that targets the <identifier> node and/or nodes. 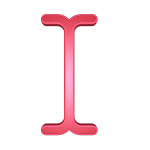 Description: The component Object creates a child <combinator> selector for the <identifier> at the scope level it is defined. Description: The value for the selector property sets the selector <combinator> for the <identifier>. Description: The value of false for the selector property creates a descendant <combinator> selector for the <identifier>.